Services Ltd which is a member of the Multi-Commodity Exchange of India (MCX) . 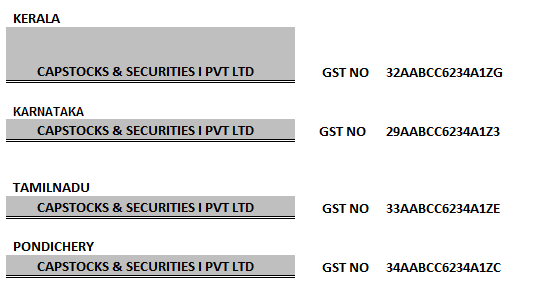 various certifications by National Institute of Securities Markets (NISM). Assessment by Moody International Certification Group through ICL Certifications Ltd.
stock market – for investors, students and everyone with an interest in the market. markets. This Centre which is presumed to be the first of its kind in India providing a comprehensive knowledge – based service to investors for all their investment needs shall have its headquarter at Trivandrum. Capstocks offers Internet trading through this site. hassle-free.Capstocks also offers Mobile trading facility to its clients. Digitally signed contract notes are sent to clients through E-mail..
dedicated phones and expert dealers at our offices. We celebrated our 20th anniversary on Saturday the 28th of November, 2009.
business associates, friends and well wishers. Dr K.M. Abraham, IAS, Whole Time Member, SEBI was the chief guest for the day. Sri. P. S. Reddy, Executive director CDSL, Sri. Sunil Alvarez, VP business development CDSL and Dr. S. Kevin former Pro Vice Chancellor of the University of Kerala were the other special guests. The function was presided over by Sri. S. Srinivasan, IAS, CMD ODEPC and Director of Capstocks.